For Sale, Snow Truck, Argyle, N.Y. 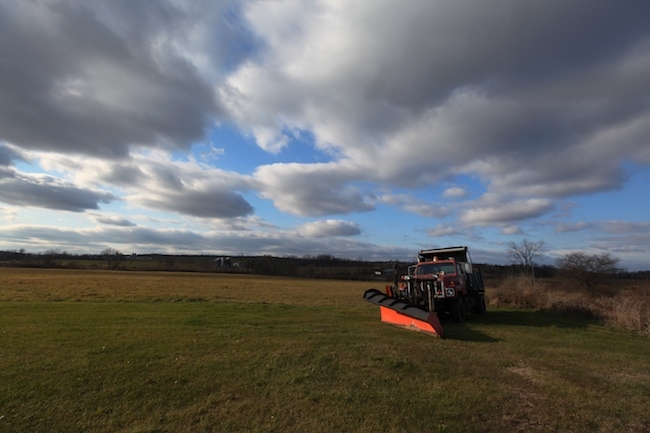 There is an old and lonely snow plow truck from Hartford, N.Y., for sale in a farm field in Argyle, and the truck looks lonely and poingnant to me, its big plow sitting out there in this open field. I visited with it today.